Christian is building companies and helping cross-industry German mittelstand to DAX companies to become more efficient, compliant and effective by smart data and automation. Christian is Managing Director of Lintum GmbH. He has previously worked as the Director of Investment at the FiZ Frankfurt Biotechnology Innovation Center and established Frankfurt Forward (f>>forward). Furthermore, Christian W. Jakob is a Certified Fraud Examiner (CFE), a multi-venture entrepreneur and an independent start-up as well as venture capital advisor. He is currently based in Frankfurt. Beginning at a young age Christian established his first company dealing in the field of prevention of fraud and corruption for SME’s. Following the company’s success, he reinvested the capital into other companies, focusing on Smart Data, Smart Textile, FoodTech, and IIOT. His passion lies in start-ups and industry leading ideas that have a long-lasting impact. Being a facilitator between technological breakthroughs, their respective valuation and financing through venture capital, he aims to create a perfect amalgamation between traditional investment practices and modern business approaches. 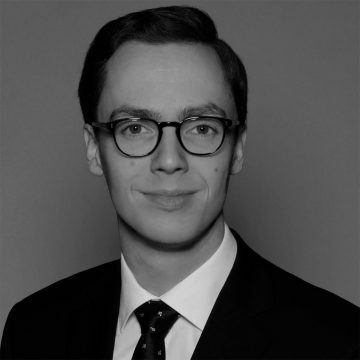 Christian attended the University of Bayreuth, Hagen and Konstanz, Université de Genève and the University College London, focusing on taxation, corporate finance and asset management. He also has received certificates from Harvard University and Manchester Business School.